Francis "Zim" Stephen Zimmer, 82, died Saturday, December 10, 2011. Francis was born on September 8, 1929 to John and Mary Zimmer of Humboldt, SD. Francis graduated from Humboldt High School. On April 14, 1951, Francis was united in marriage to Nadine Wheeler at St. Joseph Catholic Church in Norman, OK. They lived in Norman, OK, Great Falls, MT and Riverside, CA before moving to Sioux Falls in December of 1954. In 1980, they moved to Hartford, SD. Francis served in the Air Force from 1951 â€“ 1954 during the Korean War. After his tour of duty, he returned to Sioux Falls and began his 30-year career at Dakota Auto Parts. Francis was able to retire at the age of 54 and enjoyed spending time with his wife Nadine, family and friends. Some of Francis's favorite past times were traveling to his lake cabin at Enemy Swim, fishing and playing cards. 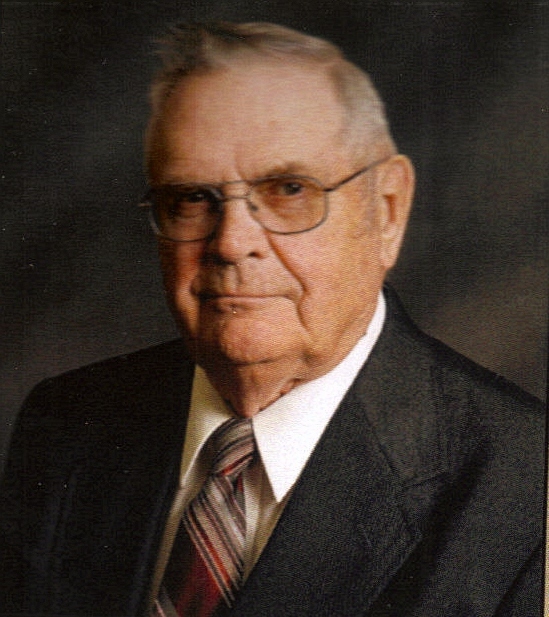 Francis was a member of St. George Catholic Church, Knights of Columbus, and Montrose American Legion. Grateful for having shared his life are his five daughters, Kathy (David) Lambertz of Sioux Falls, Carol (Robert) Solheim of Hartford, Brenda (Kevin) Frankman of Sioux Falls, Mary (Russell) Englund of Hartford, and Sara (Steven) Colford of Columbus, NE; six sons, Joseph (Kristie) Zimmer of Andover, MN, Thomas Zimmer of Hartford, John Zimmer of Hartford, Robert (Lori) Zimmer of Sioux Falls, James (Peggy) Zimmer of Harrisburg, and Paul (Teresa) Zimmer of Hartford; 25 grandchildren; 6 great-grandchildren; two brothers, Steven (Donna) Zimmer of Sioux Falls and Lyle (MaryLou) Zimmer of Humboldt; one brother-in-law, Leo McMahon of Sioux Falls; and three sister-in-laws, Arlene Zimmer of Sioux Falls, Lois Zimmer of Sioux Falls and Blanche Ideker of Humboldt. He was preceded in death by his loving wife Nadine; two children, Francis and Joyce; parents; and five brothers; John P., John J., Pete, David and Gene; one sister, Rosemary McMahon; and one sister-in-law, Leone Zimmer. Visitation will be Monday, 4 PM at St. George Catholic Church in Hartford with a Scripture Vigil at 7 PM. Mass of Christian Burial will be Tuesday, 10:30 AM at St. George Catholic Church in Hartford with burial at St. Michael Cemetery.